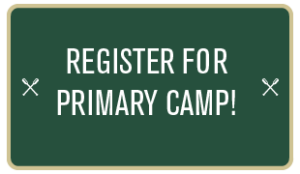 Primary Camp is for campers going in to grades 4, 5, and 6. This five night session is a high energy sprint from start to finish. Campers experience new ways to worship, community living, cabin life, and building friendships, all wrapped up in games, activities, and songs. The cost for this camp session is $475 per camper and includes registration, meals, canteen, milk and cookies, camp t-shirt, and camp picture.